Our new RRV Syrah bottling continues the fine run that commenced in 2012. Three wonderful Syrah vintages, each with distinct seasonal personalities and expressing varying nuances, but with an underlying consistent quality that has collectively raised the bar on our Syrah collection. This new 2014 vintage offers great juxtaposition between delicacy and depth, detail and power, elegance and drive. It’s a powerful, muscular wine but one that offers lovely clarity of flavor, purity of cool climate fruit and savory complexity. These two great vineyards combine effortlessly to offer a broad spectrum of red, blue and black fruit flavors, underpinned by spice and savory notes that direct the wine away from simple fruitiness alone – this is a wine of soil and site. 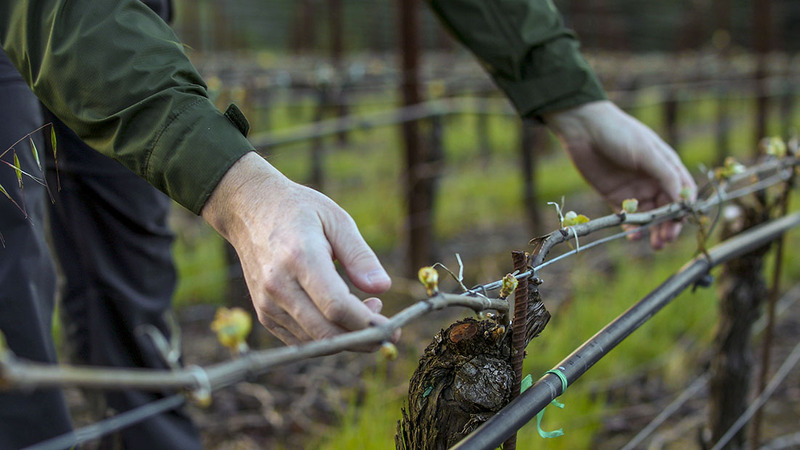 There’s a real sense of deep vine extract to the wine, that is, the depth of flavor comes from mature vines grown in complex soils, farmed carefully to low yields and harvested at perfect ripeness. As the wine airs in the glass the structure softens and a beautiful broad, layered texture emerges allowing the flavors to continually ebb and flow. Yet the wine’s inherent mineral stoniness and black pepper spice focus the palate so that it never veers to the ungainly or overwrought. Don’t miss this singular expression of coastal Syrah. Opaque, dark purple color; Young, primary, wild and expressive aromas. Briary blue and black fruits with complex roasted meat and savory rhubarb notes, then a deep underlying autumnal loamy character Red currant and blackberry jam on the fruit-filled lively entry then wet gravel, iron and tapenade complexity. Building midpalate, chewy density and fruit sweetness. Mouthwatering finish with a dusting of bittersweet cocoa powder and broad round tannins. Decant for an hour in its youth and drink between 2016 and 2024.